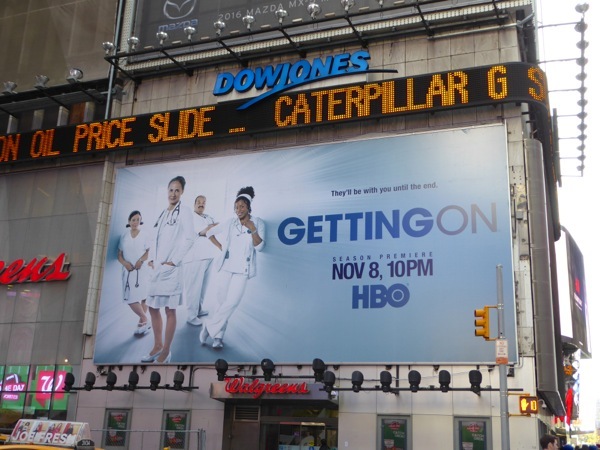 Would you trust these medical professionals with your health in later life? 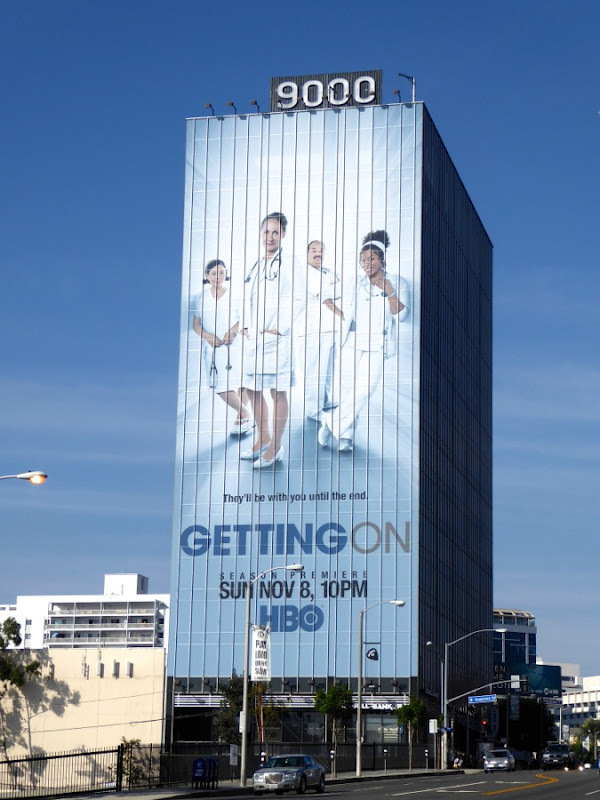 In this season three ad creative the cast of Getting On look like angels of mercy, ready to take your aging bodies off to a better place. Laurie Metcalf's 'Dr. 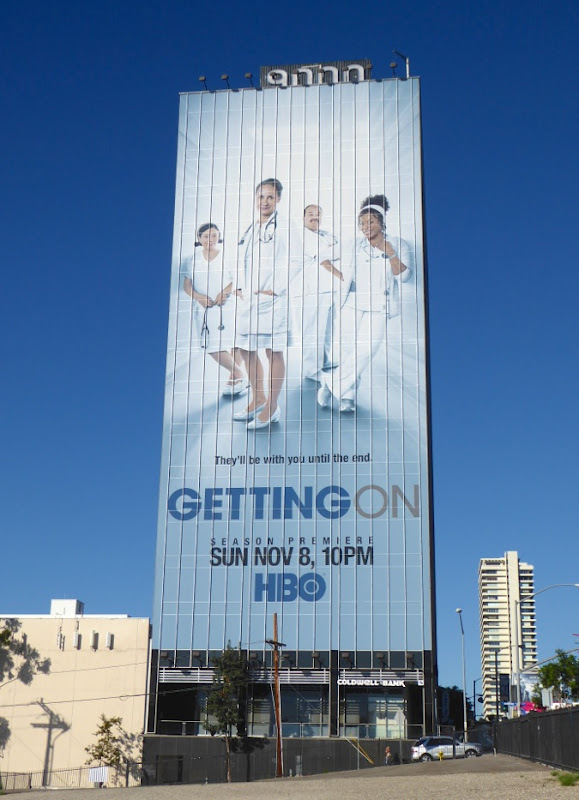 Jenna James' and her nursing team (Alex Borstein, Mel Rodriguez and Niecy Nash) on the California-based extended-care ward are back on call and ready to be with you until the end. 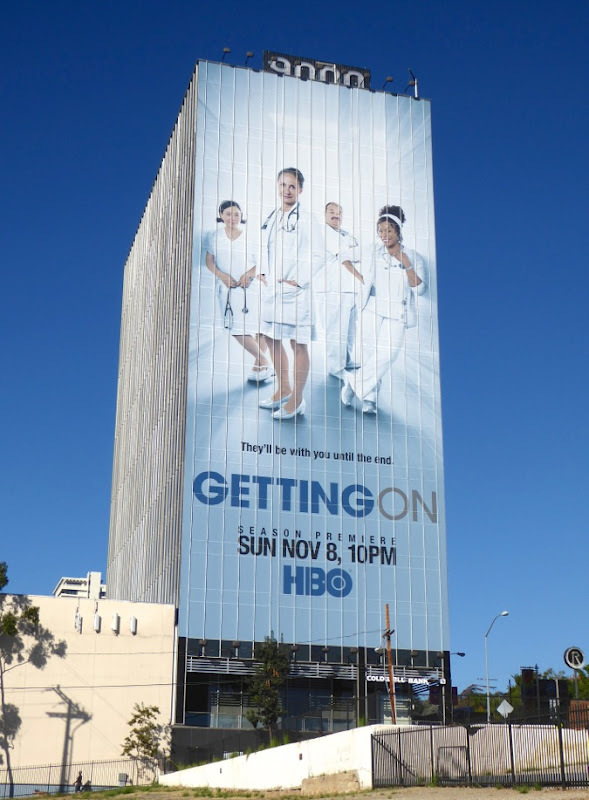 This super-sized Getting On billboard was spied towering over West Hollywood's Sunset Strip on October 23, the standard landscape billboards were snapped along San Vicente Boulevard and further east along Sunset Boulevard on October 21, whilst another large billboard was photographed in New York's bustling Times Square on October 31, 2015. 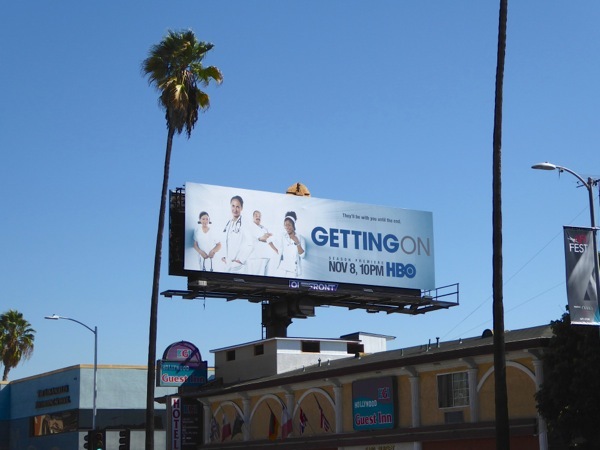 If you're a fan of the comedy that makes you cringe a the same time that it makes you laugh, be sure to also check out these season two billboards for Getting On. 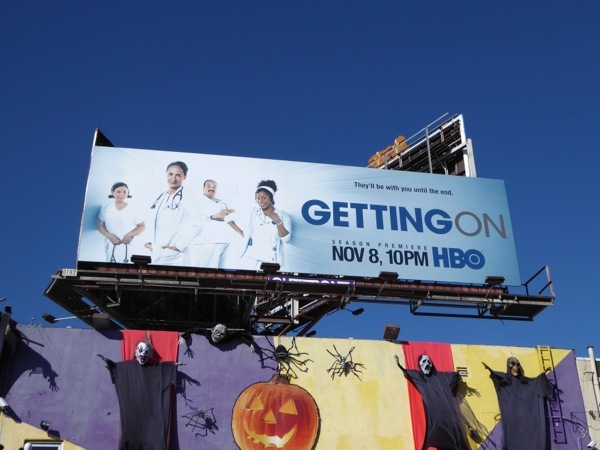 Plus for more shows with a medical twist, you can also enjoy these billboards for The Night Shift, these Code Black billboards and these Childrens Hospital billboards. 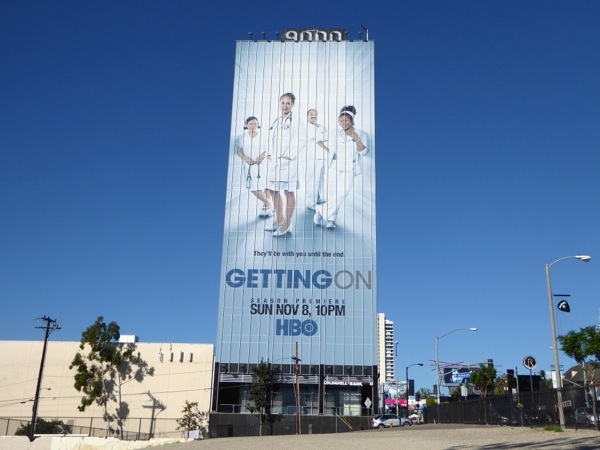 This may be the third and final season of the HBO comedy, but it's always better to go out on a high (not necessarily a medical one) than let a show grow old and stale, dying a slow death.